Reward: 15 x G’s Capsules of choice! We will send all rewards until the end of the week. Congratulations guys! I'm glad you like it. Thanks and grats to everyone else. 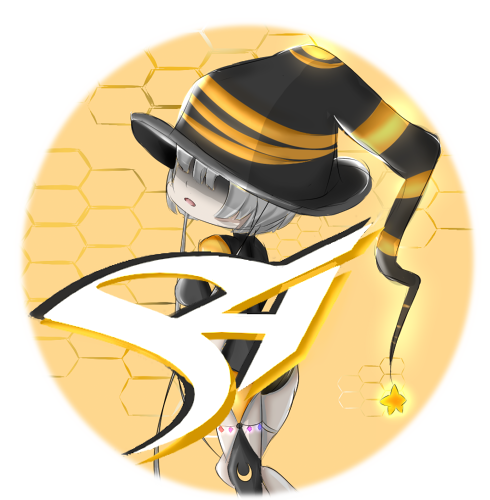 I told ya we had a winner when hella posted that incredible logo, i love so much the purple in S4 League Good job hella, and also all of the participants, good luck the next time. Same. For me 2nd place would have been Hella. Not because it doesn't look great (it really does) but because of the fact that the logo has the same shape as always. but because of the fact that the logo has the same shape as always. My goal was to make it to looks like a new season logo so changing it too much won't feel like s4 anymore. Also I redid all the shading completely from scratch. The post was edited 1 time, last by Hella_Hell ( Jul 30th 2018 ). Yeah, I especially liked the round logo for being round but it's probably better to not change the shape of the entire logo. These are all wonderful logos! why i lose forever and never winner..
i really Hate... don't drawing again..
Congratulations you are good drawing but please stop more drawing u have winner much a long time ago and too items FULL.. The reason people want a capsule or anything poor..
Du musst das hier in diesen Beitrag posten. Written in the German language. Means literally the same. So the rules were followed. But it might look abit confusing, true. It always is a global event. They can't do anything else than sum it all up. If there is one participant in German forum, they can't cancel the event nor they can't give all the prices to one person. So when we will get the rewards? It says the end of the last week but we are already in the next one. I already got my reward (1st August). Did you contact Scragger? haha rip, u know when i got my meme contest 2 rewards ? just now . when we will get the rewards? It says the end of the last week but we are already in the next one.